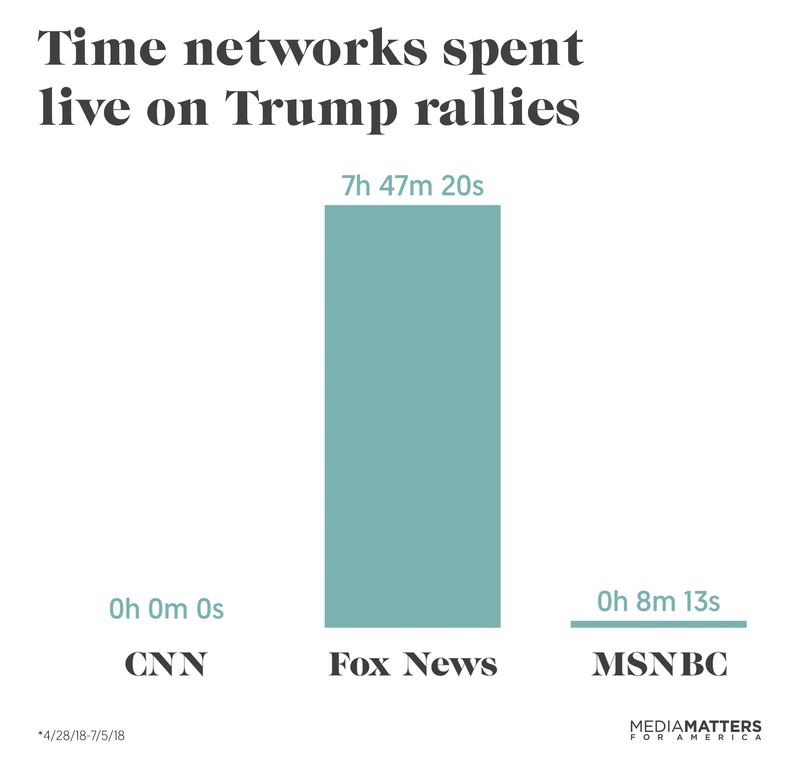 A few days back we posted the following graphic regarding The extent to which Fox News feeds its viewers Trump rallies. As you know Trump's rallies have become increasing nutty and self-serving railing sessions on-camera. It is always critical to offer corollary and validating information when said information becomes available. Take a look at how Fox News has covered Trump and his administration's failure to reunite children literally snatched from their families. In some cases, the immigrant parent arrived at the border and followed written instructions to request amnesty. A legal act. Yet, their kids were taken into a system which effectively offered little humanity, continuing misplacement and non-parented housing of children (some as young as age one), and a system which received significant applause and accolades from the Right.